Eyes and lips fully repainted by the artist. Doll retains factory blushing. 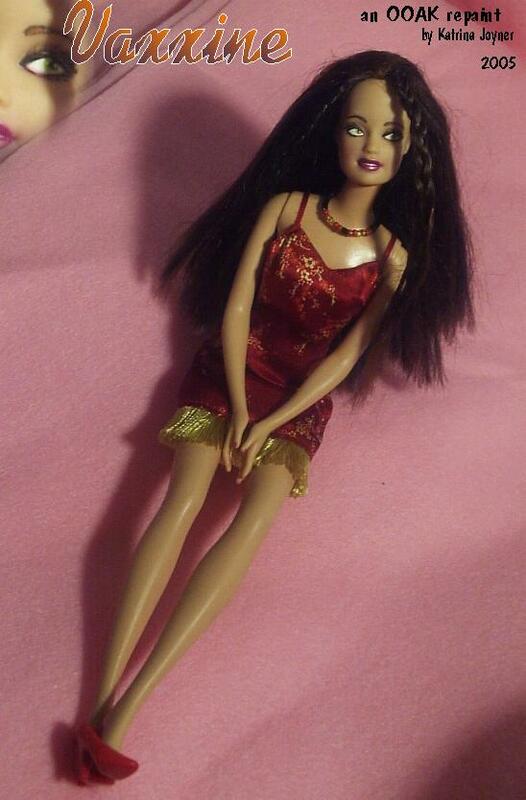 Dress ensemble and shoes official Mattel products. Hot to trot Vaxxine is dressed in Oriental red, ready to go on the town! Her kelly-green eyes are a-dazzle with excitement. Her pearl pink lips, which shimmer in the light, are just the right touch with the rest of her dress and matching fingernails.